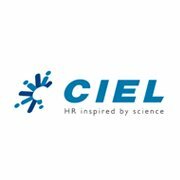 CIEL meaning ‘Sky’ in French, is a next-generation HR services company head quartered in Bangalore. It is a new-age firm in the Indian HR Services industry that leverages on Technology and Analytics to offer a range of services such as permanent staffing, selection, flexible staffing, and executive search and managed services programmers. The company specializes in providing solutions in talent acquisition, engagement and retention. The team of CIEL brings with them deep domain expertise, the power of technology and an undying spirit of innovation to its clients and candidates with equal fervor.